GRAVEYARD JOHNNYS ARE READY TO ROLL! 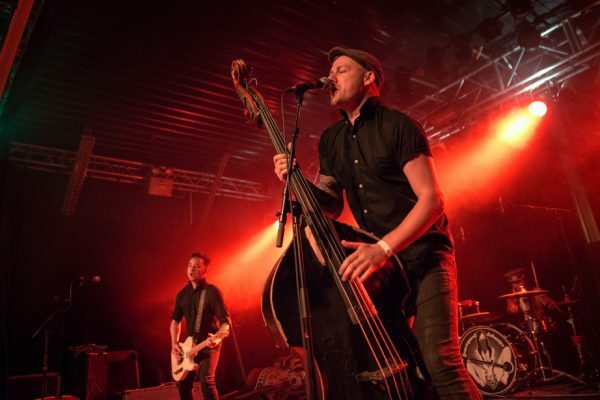 Welsh punkabillies GRAVEYARD JOHNNYS have revealed a brand new video, as they dash off on an extensive tour of Europe, which will see them playing a rockabilly cruise off the coast of Sweden, before heading in and out of the UK for a quick run of dates. ‘Ready To Roll’ is taken from their Dead Transmission album, which is available now through Bomber Music. The video was shot while the Chepstow trio were touring the album over the course of the past year. The band’s tour kicks off this Friday in Spain, before taking in Sweden, the UK, Germany, the Czech Republic and France before winding its way back to the UK at the end of May. Full dates are as follows…. ‹ JIM JONES VIDEO EXCLUSIVE!